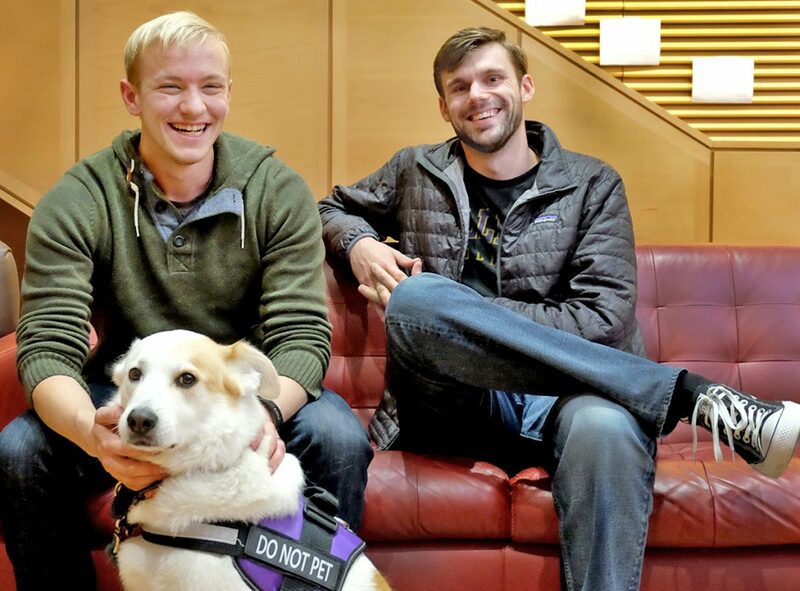 Williams welcomed two veterans to the Class of 2020 as part of a partnership with Service to School (S2S) and VetLink, which is designed to connect high-achieving veterans with some of the most selective colleges and universities in the country and mentor them through the application process. Benton Leary ’20 grew up near Atlanta, Ga., where, he says, “I was liked by the teachers but knew I was joining the military and wanted to have fun until then.” He graduated with a vocational diploma before joining the U.S. Navy, where he served six years and achieved the rank of petty officer first class. As Leary asked more questions, he heard the same message from people he trusted: Maybe you’ll find the answers in college. So he left the military to pursue an education. He joined the U.S. Air Force and was an airman first class. He accepted an honorable discharge after two years due to health issues and moved to Washington, D.C., where he worked as a plumber. “I was miserable, but I was very good at what I did,” he says. In considering a college education, Marchant had Williams on his list. But, he says, “I had no idea how to show schools that I wanted to learn and was worth their time.” He reached out to S2S after someone from Williams recommended the program. Both Leary and Marchant say S2S’s VetLink helped them achieve their goal of college, though Leary says it took some time before he realized he needed help with the process. A representative from S2S suggested Leary might appreciate Williams’ small, close-knit campus community. His experience during Previews—when prospective students have the chance to tour the campus, visit classes, and meet other students—helped solidify his decision to join the Class of 2020.